It can be the most rewarding time of year and because of that, it’s usually the most frustrating time of year. In late summer, Lake Michigan’s mature king salmon head back to the locations where they were stocked to go on their spawning runs. Those locations are public records so finding the fish is a simple matter. The records show exactly how many baby kings were stocked at Michigan City, Portage or over in Lake County. 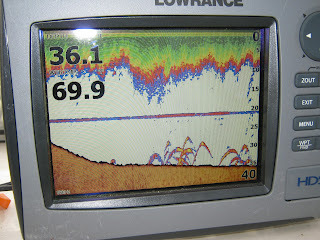 The creel counts give an indication of how many of the fish were caught by fishermen, as well. A relatively small percent. Of course, some of the fish may have been caught elsewhere, or failed to survive their 3 ½ years in the lake, but statistically, there are a lot of salmon left and in September, they are mature and it’s game on for Lake Michigan anglers. The problem is the fish are no longer feeding. Their goal is simply find the stream they need to swim up to spawn, wait until they are acclimated to fresh water, then wait for the right tide and continue their run. Okay, there’s no salt water and no tides, but the fish don’t know that. They are a scant few generations away from ancestors who did swim the oceans and migrate to Pacific Coast streams and they still have western fish instincts. After spending 3 ½ years at sea or in Lake Michigan, they are accustomed to snapping at any baitfish that comes within "mouth-shot." 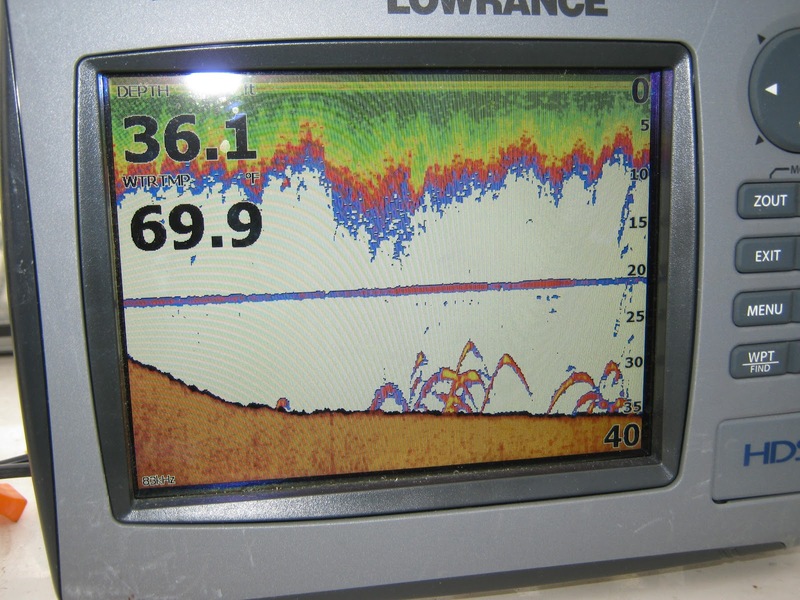 If your lure gets subbed in for a baitfish, lucky you! That’s some days. Other days you can show your best baits to a thousand fish and only one or two will try to bite it. That’s the frustration. You know where the fish will be, you know there will be lots of them but you don’t know when or if they will bite. That’s why you keep trying. For when it all comes together, you are hooked to one of the largest, meanest and most tenacious fish that exists in North America. That makes the frustration worth it! For all of you old enough to remember the old Peter, Paul and Mary song, “Leaving on a Jet Plane,” here are some alternate lyrics to the tune. these, while I sit back and smile! It’s loaded up with beer and fishing gear! All I know is we will surely try. Okay, so maybe I’m a bit ebullient (as well as a poor lyricist) but in a few minutes Peggy and I will be out the door and heading for a week’s vacation. She needs it from her work at the hospital, I need it from my work on Lake Michigan. You may think it odd that after spending much of the last several months on my boat on Lake Michigan that I’d take my boat and fish Lake Michigan as a vacation. When I have paying customers on the boat, I’m working to keep them safe, entertained and happy with the amount of fish they are catching. It’s not bad work, but it’s work, none the less. I’ll be fishing with Doug Wheelock, a long-time fishing friend and Bob Simpson, a retired charter captain from Thunder Bay, Ontario. Both guys are familiar with boats, fishing and the gear we will be using. I won’t be doing all the work and I might even get to reel in a fish. Actually, I don’t care if I don’t reel one in, as long as I can just be out there without the pressure to put fish on the line.